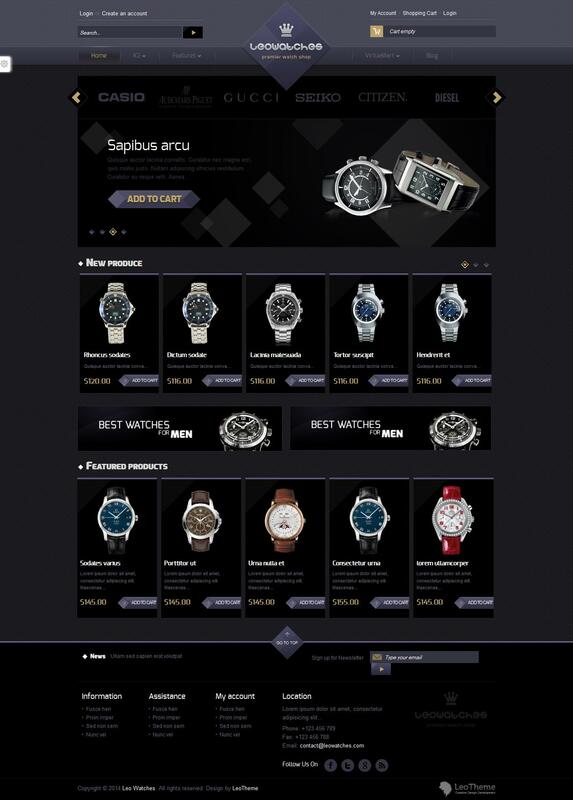 Leo Watches - the original template online - Shop for Joomla 2.5 from the team LeoTheme. Attractive and stylish design template in conjunction with functional control panel all the options ideal for creating high-quality and professional website. This template includes 3 color options, there is a light and dark theme, the ability to change the background of the site and much more. Availability adaptive functions provided by the use of all the possibilities of studio framework Leo Framework. Leo Watches also supports additional themes for components K2 and VirtueMart, template matching appearance.